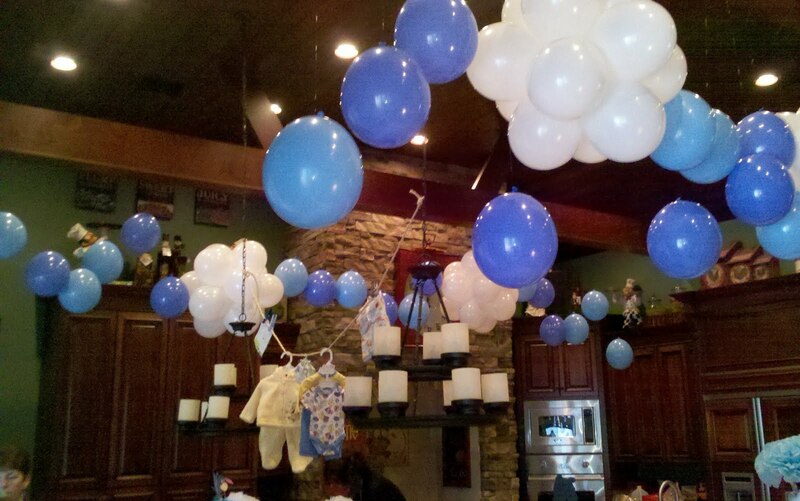 I assisted Orlando party Store in bulding and "umbrella" tree that their client requested for a Winnie the Pooh baby shower...the Mother wanted her daughter to have a limb right over her head as she sat to open gifts. Client wanted the ceiling over Kitchen to look like a mix of white clouds and individual blue balloons. 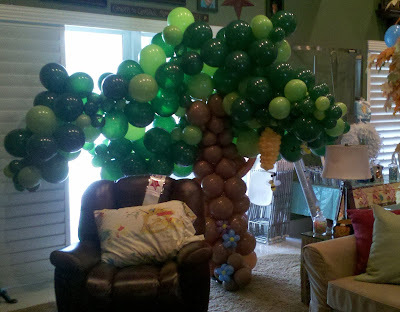 Call 863-255-2025 or email partypeoplecc@msn.com to order decor for your event. Party People Celebration Company is based in Lakeland Florida and serves centeral Florida.